The world is divided into two kinds of people: those who plug their earphones the second they settle down in their cubicle to work, and those who despise such people. If you have to update some records, reply to emails, or add data to spreadsheets, chances are music will come to your aid. Research shows that music actually makes the process of doing repetitive work more enjoyable, and hence, the work is done faster and better. Does your office setting make ringing phones, team debates, street noise, construction cacophony or any other distraction within an earshot? If yes, listening to music can actually create an illusion of a ‘private space’, which transcends physical boundaries. Science pegs this as a factor to being more productive, as the mood elevates, and blocks the unnecessary distractions. Research has shown that ambient noises, tend to increase the levels of productivity, and makes one more creative. So ‘natural’ noises do the trick, but anything loud can be counter-productive, so beware. Furthermore, ambient music also comes to the rescue of those who get uneasy in absolute silence, and helps them work better. Although doing repetitive tasks and activities might be different, listening to music that has intense lyrics and heavy words might not be the best while you are trying to focus. Switch to instrumental or natural sounds, preferably at a soft pace, and not loud or fast. Listening to music while writing an article or report is akin to talking on the phone, and an actual person, and also talking to yourself; all at the same time. The second music becomes ‘noise’; you know you have to take it down a notch. If the music you hear is jarring, extremely loud, or simply played at a volume where it becomes distracting; you’re doing it wrong. Set the volume to low, and rarely medium for the best results. It is critical to identify when to stop the music. When you are learning something new, say operating a new software or device, which requires your 100% attention, it might be best to give the music a break. Reading through a jargon-laden paper or article, or anything that requires you to put in more effort than you normally do, should ideally be done sans music. We’re talking of the hundreds of years old music, considered the finest form of art, which finds few takes these days. Tunes from the Baroque-period, which can found on Wikipedia, have been known to boost productivity. Sounds which are more delicate, soft and subtle do the trick while dealing with numbers that need attention. This music, by its nature is repetitive but unobtrusive. Since the same tempo and beats are repeatedly played, it builds concentration and focus. A modern rendition of ambient music, Chillout and its categorical cousins, have the origins of IDM, or Intelligent Dance Music, which is designed to relax the mind and allow it to roam, thus, providing stimulation for participation. A lot of work and psychology goes into creating music for video-games, for it is supposed to enhance the experience, and not distract. The SimCity soundtrack is often touted as the best example, for it is meant to be enjoyable but not bring focus on itself. Look for other such popular and in-demand video-game soundtracks that help you concentrate while working. The ideal music for data entry work, pop music increases the pace of work. It helps when you have a deadline to stick to, and also increases overall performance. Who knew that listening to lyrics that make little sense or tunes that fizzle out after a few days could actually help us deliver work? Best for proof-reading or problem solving, ranging from equations, word problems and mathematical questions, studies conducted show that dance music helps in various ways. Invest some time in actually identifying what actual Dance music is all about, and give it a try. The office environment and setting directly impacts your productivity, the work, and your behaviour. If you need music’s intervention to personalise the same, give it a try, and test different types of music to understand what works best for you. Remember, music has to supplement your performance, so a lot is at stake here. Depending on the type of work you do, your affinities may change, but music can help you work better. For those who absolutely condone the use of headphones at workplace, give music a shot! You might just end up liking it, and working better! 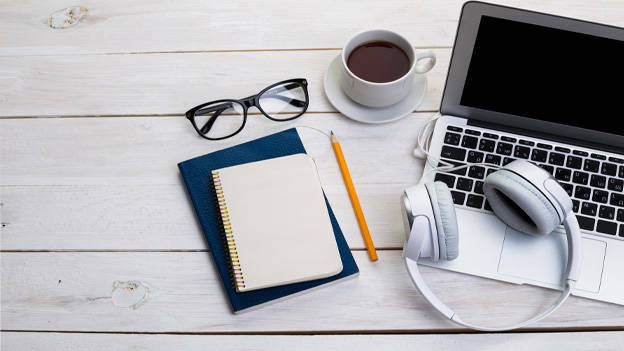 Let us know what music you listen to while working and whether it helps you work better!